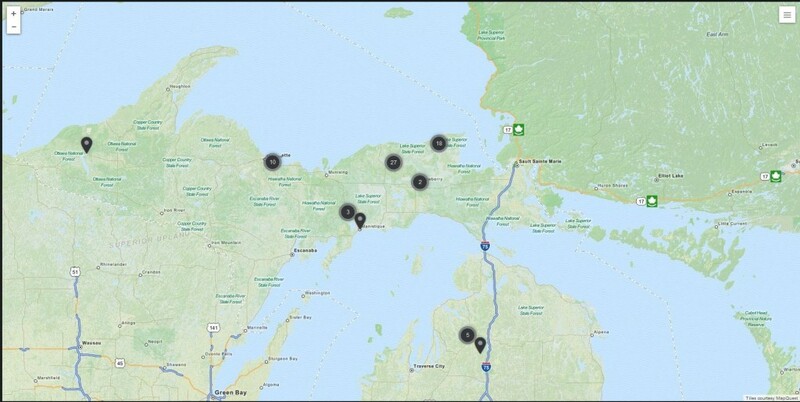 Here is a map of the rides that we have scheduled in many locations around the state and in northern Ontario. Most rides in the lower are weekend rides and the ones in the U.P. are typically between 4-7 days but you are welcome to ride as much or as little as you schedule allows. If a ride is scheduled for a Fri,Sat,Sun, you are more then welcome to extend that to what ever fits your schedule. We have many members that pair up and might go up on a Wednesday and ride for a few days and then meet up with other club members for the scheduled ride. Typically Ride Coordinators plan their rides during the summer to ensure we get rooms blocked well in advance of other groups. They will request that a hotel provide a special rate for us and let them know approximately how many rooms we need. If there’s a ride you’re interested in, give the ride coordinator a call and they’ll give you the hotel information and provide instructions to get a room. Many rides have become annual events so the hotel is the same every year and generally falls on the same weekend annually. We are always looking for new places to ride and any member is welcome to coordinate a ride. Ideally it would be great to have a ride every weekend and sometimes we have more then one ride on a given weekend.